Special offer: Book a 2 night weekend stay (Friday and Saturday) for *£140 (*usual price £150). Special offer 2: Sunday/Thursday £65/night and £5 off each additional night stayed. 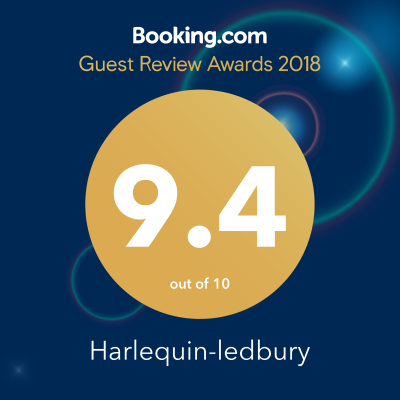 Harlequin Bed & Breakfast offers luxury en-suite accommodation in a stunning and totally renovated and refurbished property a few minutes’ walk from the centre of the historic market town of Ledbury. We are featured in the December 2018 issue of 25 Beautiful Homes magazine. 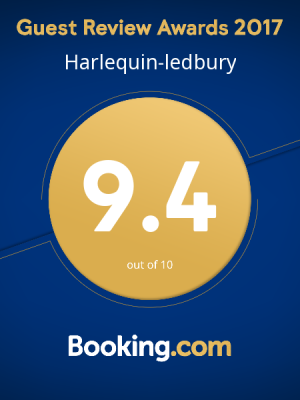 We have two beautifully appointed guest rooms with en-suite bathrooms, and all with brand new luxury beds, soft furnishings and bath linen. Each room has tea and coffee making facilities and free-view TV. We take great pride in our hospitality and look forward to welcoming all guests to the chef’s table for a sumptuous breakfast where we make every effort to use only the best and freshest locally sourced ingredients. 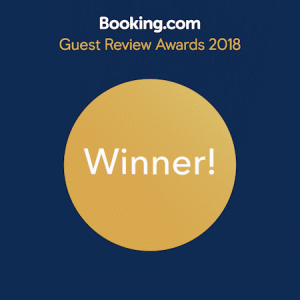 While there are plenty of lovely places to eat within walking distance, after a long journey or if the weather is bad, for £13.50 per guest, we'd be delighted to provide home-cooked evening meals, and you're welcome to bring your own wine to chill. Please let us know if you've any dietary requirements, ideally with a couple of hours' notice. We also offer superfast free Wi-Fi to all guests and have ample parking space. With regret we are unable to accept children under the age of 12 or dogs/pets or commercial/ trade vehicles at the property. Bright and spacious marine themed double with en-suite shower room. The largest of our rooms overlooking the front of the house. 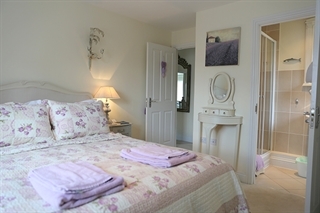 Charming and elegant with just a hint of lavender, this double with en-suite shower room also overlooks the front of the house.